The circulation pump in a washing machine is responsible for circulating the water and soap in your laundry in order to help wash your clothes better. This LG washing machine had a bad circulation pump. Circulation pump repair is one of the many washer repair services we provide. We repaired this washer by dismantling most of the washing machine first just to be able to get to the circulation pump. We then replaced the circulation pump with a brand new pump. 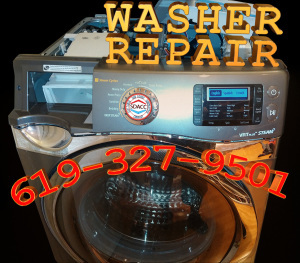 Affordable Kenmore Washer Repair done right the first time! This Kenmore Front Load Washer wouldn’t turn on at all and needed a replacement main controller board to fix the problem. 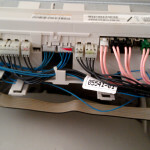 The main control board is the “brain” of the washing machine. The buttons on the front of the washer, and all of the sensors inside the machine connect to this “brain” box. 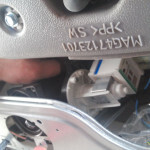 If the main control board doesn’t work correctly, it must be replaced with an OEM part.